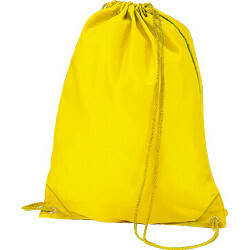 4 popular colours of nylon backpacks availalbe from stock. All of our nylon backpacks are fitted with matching coloured rope, suitable as school bags or gym backpacks. Printed nylon backpacks available from as few as 50 bags printed 1 or 2 colours. More colours of deluxe nylon backpacks available upon request. 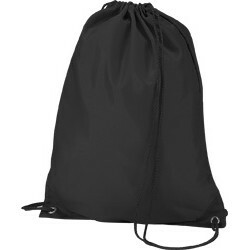 Black Nylon Backpacks Bag size 350x415mm Price per pack 10 bags Bl..
Blue Nylon Backpacks Bag size 350x415mm Price per pack 10 bags Blue nylon ..
Red Nylon Backpacks Bag size 350x415mm Price per pack 10 bags Red ..
Yellow Nylon Backpacks Bag size 350x415mm Price per pack 10 bags Y..